4 X 5 Litre boxed pack offering best value. Limited time offer: BUY NOW! 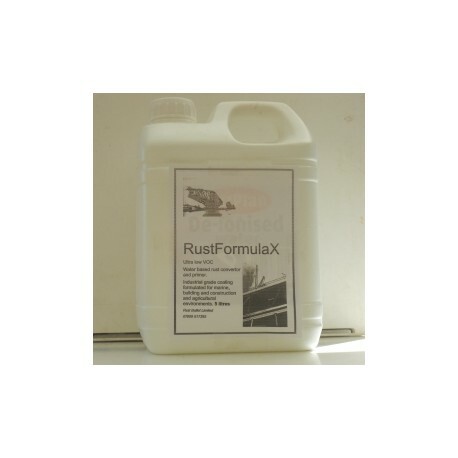 This is the first product in our new RustFomulaX range which features Ultra Low VOC content. For those aplications where a low VOC content is esential. 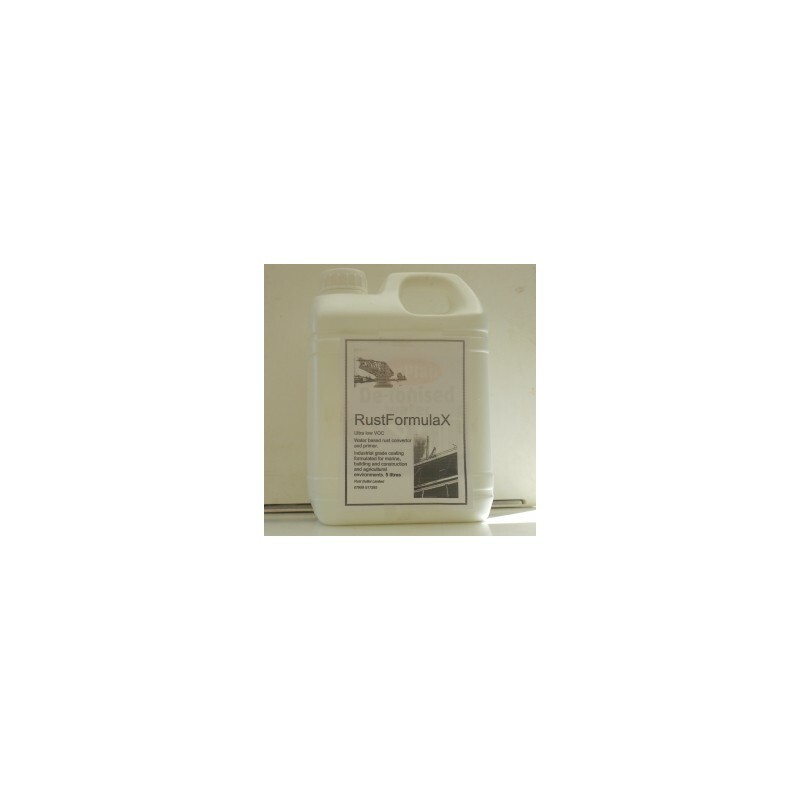 This is the first product in our new RustFomulaX range which features Ultra Low VOC content. It is a water based rust converter and primer all in one. After applying 2 coats it can be overcoated with undercoat or top coats as desired. For those applications where a low VOC content is esential such as application in confined spaces with inadequate ventilation then RustFormulaX offers a highly cost effective solution. The unused product is white but the coating will turn navy blue when in contact with metal and rust showing the chemical process is complete. RustFormulaX is non toxic and the manufacturer has obtained approval for its use in food manufacturing plants in North America. Easy to apply with brush or roller. Approximate coverage 180 sq metres or 2000 sq feet. This 4 X 5 Litre Special Saver Boxed Pack is for a limited time only. BUY NOW!